In essence, this perhaps doesn’t tell us much we don’t already know, but it does throw even more weight behind the notion that the glossy glass, rough leather and stitching effects will be getting their last run-out with the current iOS 6 software. Since these latest murmurings tie in rather nicely with pretty much everything else said of iOS 7 throughout the blogosphere, I would be inclined to believe this recent source is right on the money. Said source has apparently managed to grab a glimpse at some of the changes Apple has been making to the aesthetic of iOS, and although things could undoubtedly be changed between now and June 10th — this year’s Apple Worldwide Developers Conference (WWDC 2013) at which iOS 7 will be showcased — it’s unlikely Apple will want to risk making too many further tweaks given how little time there is to run the necessary tests. The new-look lock screen is supposedly much less glossy than before, with a clean, black interface doing away with the rather unnecessary life-like finish. When entering the passcode, the omni-present square grid makes way for a rounder, sleeker ensemble of black buttons, complete with white text and borders. This same kind of color scheme manifests itself throughout the OS, with flat, monochrome features visible throughout. From the Calendar app to the Notification Center, it would seem as though Apple has whipped everything back to basics, and considering how tiresome and grating the current, almost unchanged look has become, I would imagine that iPhone, iPad and iPod touch users will welcome the visual overhaul. 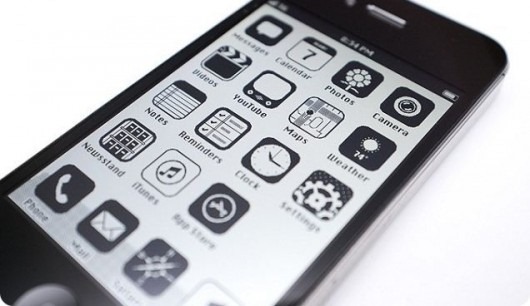 What do you think, is a black and white, flat look the answer to the rather stagnated state of iOS? Do share your comments via the usual mediums below!